It’s not only buses that keep you waiting for ages before three come along at once – Bladnoch single malts do as well. 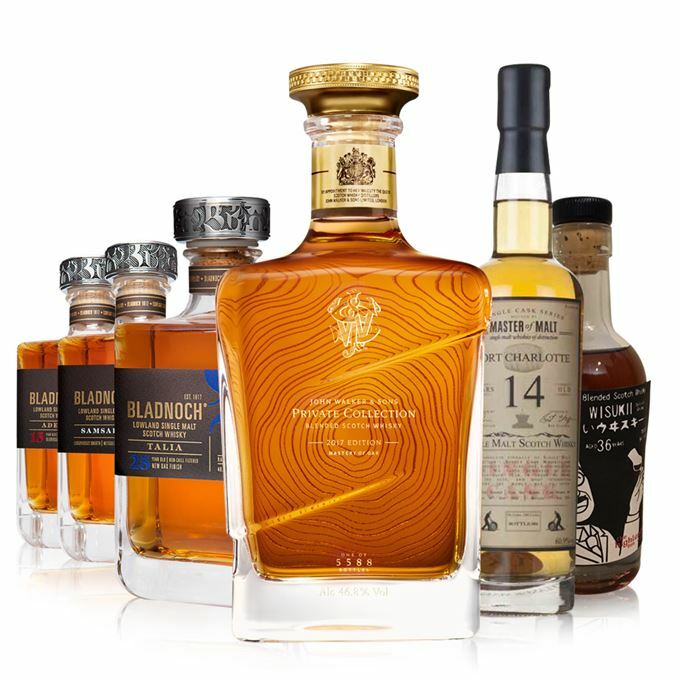 The first three whiskies from the Lowland distillery for several years – already available in Australia and due to be rolled out to other markets later this year – are the first to be tasted by Dave Broom this week. Starting with 15-year-old Adela, once you get past the ‘pungently peculiar’ nose you’re rewarded with a ‘pleasing’ palate. Then there’s no-age-statement (NAS) Samsara that’s best served neat, and 25-year-old Talia that needs a little patience to bring out its full potential. 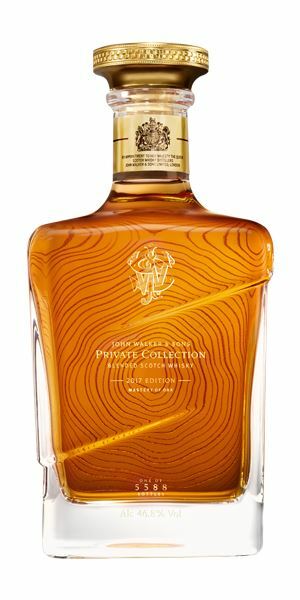 Broom then progresses to the ‘masterclass’ that is the 2017 John Walker & Sons Private Collection blend, which exemplifies the effect wood can have on whisky. 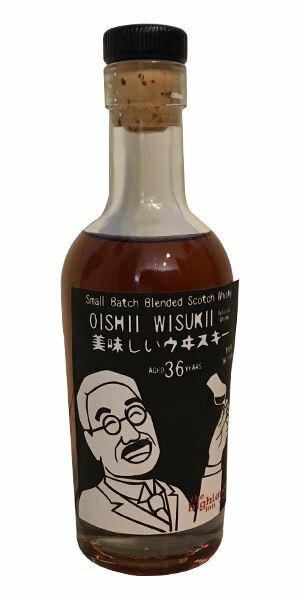 A 14-year-old peaty Port Charlotte is well worth a look, as is the final dram of the week – the second batch of Oishii Wisukii 36-year-old from the Highlander Inn in Craigellachie. A pungently peculiar opening of overripe cheese/silage, forgotten gym kit left under the bed, but also clove and star anise. Then parsnip and boiling beetroot, a hint of cabbage and supermarket own-brand Worcestershire sauce. With water there’s polished brass, and a more orthodox and pleasant damp sand/bodega floor element. Odd. A surprisingly soft start after that sensory assault and considerably calmer; there’s nougat and more nuttiness. A peppery note starts to grow alongside this rich, soft cask. There isn’t quite sufficient sweetness, but after a slightly alarming nose the palate is pleasing. Halfway through making the soup, he began to realise why Famous Recipes from Kelty had been on sale for 1p. A heavy floral note – jasmine and hyacinth with some wheat chaff underneath, which adds a necessary dry note. 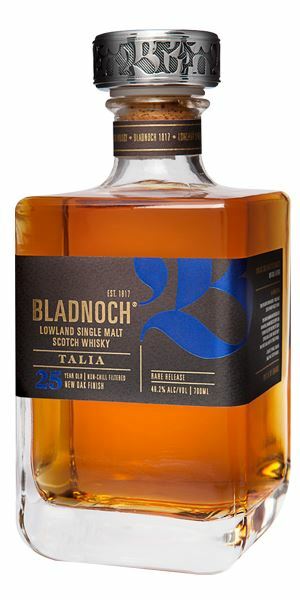 It’s all very Bladnoch, in fact, with added thick weight, some strawberry bubblegum and more rich florals. Water, however, begins to pull forward a slightly sour buttermilk element that then starts to dominate. Soft, with barley sugar and added citric notes in the mid-palate, before those floral elements come through. Water lightens things just a little too much. When neat, things are fine, so keep it that way. 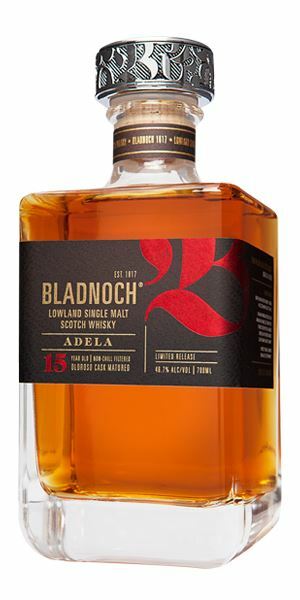 Nice to have Bladnoch back. 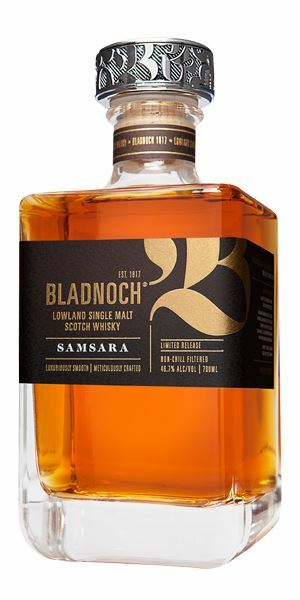 In Hinduism, Samsara means the ongoing cycle of life, which seems apposite in Bladnoch’s case, though the concept of karma reminds us that the errors of the past live with us in our new incarnation. It’s also a perfume by Guerlain which, by sheer coincidence, also starts off heavily floral. I can’t imagine Ian Macmillan wearing it, though. Marked as neat. Eating cheesecake at the diner before the prom. Patience is required here. There’s a hot attack which acts like a police cordon keeping you away from the action, permitting only glimpses of mint, fresh bay leaf and some oak. Agitate it, however, and the alcohol begins to recede, bringing out waxed jackets, pot-pourri and Topic bars. Give it yet more time and it becomes more Calvados-like and rather lovely. Water pulls out the wood, though. Definitely mature, though there is a tiny touch of soapiness and the heat doesn’t allow the flavours to develop properly. Water, again, brings the wood forth. There is a balancing point in there, though. I wonder if a slightly lower strength might have sorted this out. Add water drop by drop. It took time for the grumpy gardener to let them in. Rich, soft, slow and complex. There are elements of chestnut and a mix of heavy stewed berry fruits that drifts towards jam, then cedar and sweet new leather. Water initially brings out more delicate top notes of fresh apricot and pear; there’s then a note akin to mirin, some clove, vanilla and a refined – if potent – gentleman’s cologne – Serge Lutens' Cuir Mauresque. Thick, honeyed and deep, with greater weight than the nose suggests. There’s added hard (Highland) toffee, black banana and some honey. The mid-palate is concentrated, with the whisky moving in different directions. The apples and peaches are retained as a top note, adding freshness and acidity; spices begin to grow, hazelnut works with oak to add texture and structure, while a silky, honeyed, rum-and-raisin note gives length. Water adds in stewing rhubarb, membrillo and a light chicken stock meatiness. Sweet spices, some char/smoke. Quite short. Less about wood, more about its effect. A masterclass in blending. As resonant and rewarding as a Charlie Haden solo. Though light in colour, this has a real compressed character, with masses of oils (citrus, Danish) alongside a very clear note of apple wood smoke. A blazing bonfire with some heather thrown athwart the flames, contrasting with an invigorating briny element. Water makes things more damp – dewy herbs, grass and that Bruichladdich farmyard-like character mixing with sun-bleached driftwood. Fairly hot, but there is sufficient weight and sweetness to compensate. Sweetness comes across in the middle of the tongue and is increased when water is added (which is a must, by the way). The smoke then becomes better-balanced and the oils cling that little bit more. Delicious. Profoundly phenolic, but balanced. Seek it out. As stinging as Robbie Robertson’s guitar solo. Huge and deep. Richly complex, with mature notes of polished wood, plum, balsam, dried fruits and blackberry, a touch of myrrh, then cypress and tobacco. Some old leather and resins dripping from a pine tree. Very slow. There’s heavy marmalade, a little molasses and, in time, some bergamot. Water is a little too disruptive (on the nose at least). Coal smoke right at the start, then a big Fox’s Glacier Mint lift before the tannins begin to show their hand. Much drier than the nose, but equally mysterious with that nodule of sweetness becoming increasingly important. Water now allows the grip to loosen and a heavy chocolate sweetness to emerge alongside dark fruits. Long and lightly gripping. Hint of smoke. 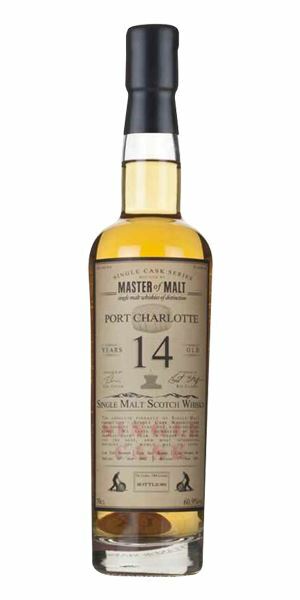 The second release from Craigellachie’s Highlander Inn. ‘Oishii’ is Japanese for ‘delicious’, and this sure is. You’d be a fool not to try it. High tea at Morgan le Fay’s. Batch 84 24/02/2017 A quartet of single malts from James Eadie with Auchroisk, Blair Athol, Caol Ila and Dailuaine. Batch 82 10/02/2017 If you like honey, you’ll love these whiskies from Coinnich, Laphroaig and Rìgh Seumas.